... on all twin tubs. Welcome to Polar Twin tubs. Distributors of Polar twin tub washing machines. Since Hotpoint and Hoover stopped supplying twin tub washing machines Polar have supplied the market. 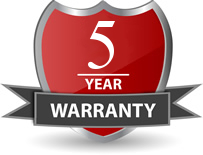 We are that confident that our machines are the best out there that if anything major was to go wrong with your Polar Twin tub within the 5 year parts and labour warranty we will replace the machine free of charge with a brand new one. Twin tub washing machines are no longer a thing of the past. 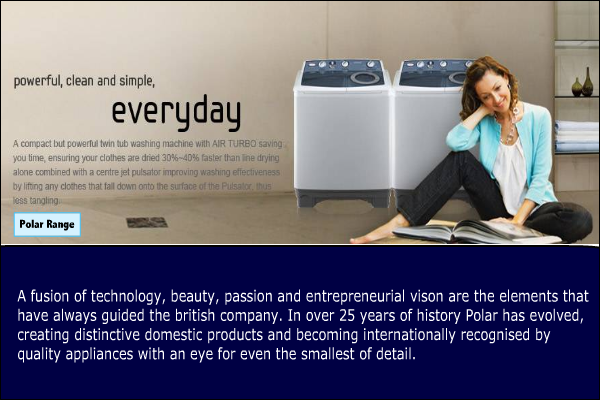 Polar have been distributing twin tubs for in excess of 25 years specialising in only twin tub washing machines. Needing a wash within 5 minutes? 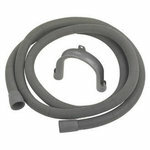 With a twin tub you can have you washing ready to be hung on your line within 10 minutes. With its quick wash action of 5 minute wash and a 5 minute spin, a twin tub is your answer. Low on electricity and water consumption a twin tub is the eco friendly way of washing. You are in control of your washing and how you want to do it.